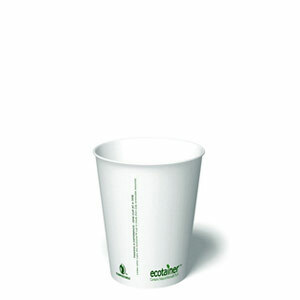 Custom printed compostable paper cups. 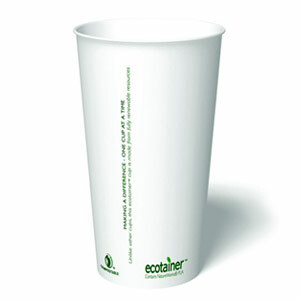 Good for the earth - and your brand. 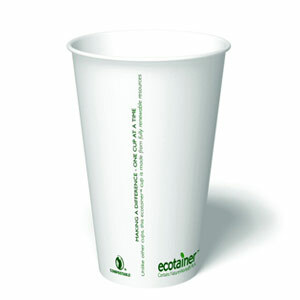 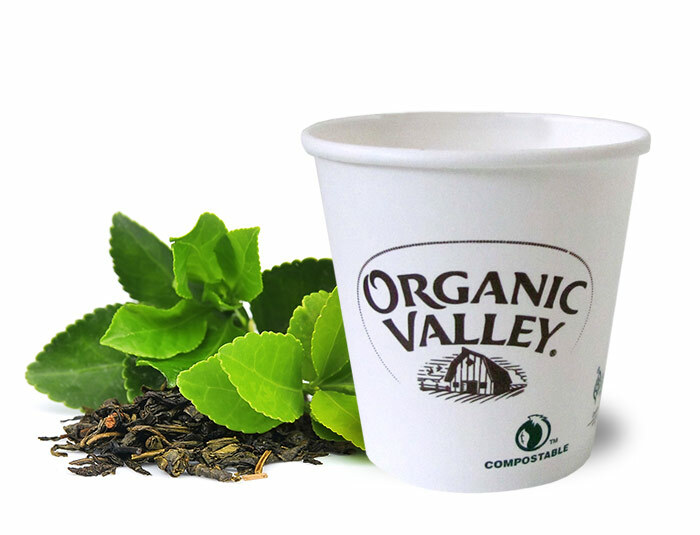 Go green with custom printed compostable products from The Cup Store! 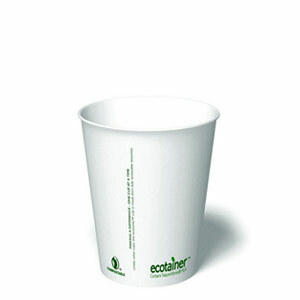 These biodegradeable paper cups are lined with PLA; a resin made entirely from plants. 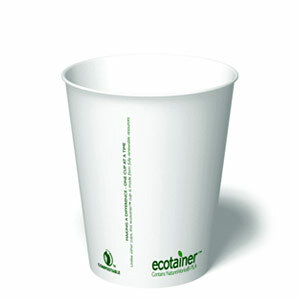 They are eco-friendly and 100% compostable in municipal and commercial composting facilities. 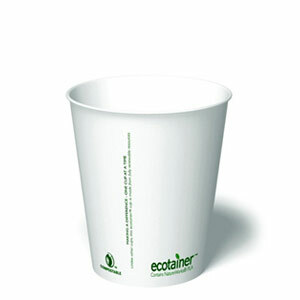 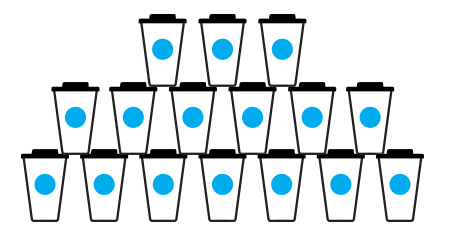 Our custom printed compostable cups are printed on blank white cups and have an eco-friendly message at the bottom and along the seam of the cup. 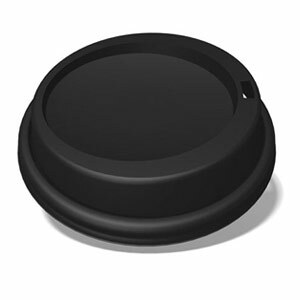 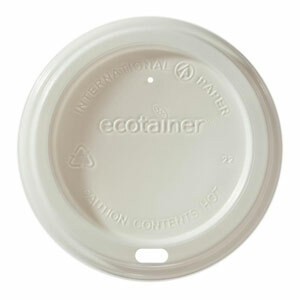 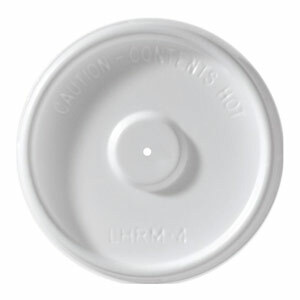 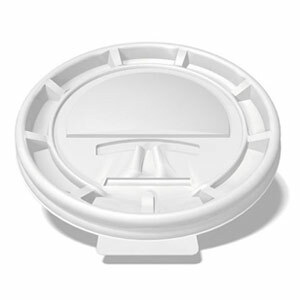 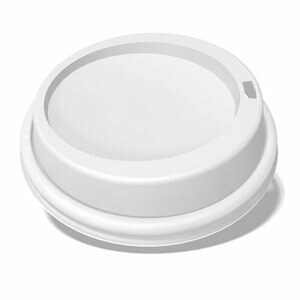 Flat tear back lids or dome sip lids are available in black or white.